ExchangeWire rounds up some of the biggest stories in the European digital advertising space. 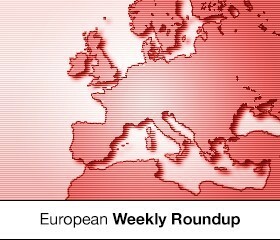 In this week’s edition: EU commissioner updates on new EU-US data transfer agreement; MediaMath joins IBM’s UBX; DISH programmatic marketplace and SSP runs on IPONWEB; and mediasmart and TVTY combine DSP and technology. According to Jourova, a new deal between the EU and the US would involve the US Department of Commerce as a regulating body to check the compliance of US companies when it comes to protecting European data, with an annual review to monitor government bodies which have access to the data. Other items on the agenda are transparency rules in favour of internet users, as well as stricter rules for companies that transfer data between the two continents. While negotiations are already under way, there has been no hard deadline set for a new ‘Safe Harbour’. However, national privacy regulators are looking at the end of January 2016 for a new framework for data-transfer between the two entities which will rely on an “oversight system that is more responsive as well as proactive and backed up by significant enforcement, including sanctions”, Jourova said. MediaMath joins IBM’s UBX as a certified partner. The integration of MediaMath’s TerminalOne marketing OS allows marketers to connect data across solutions for optimisation purposes. Data transfer between MediaMath and UBX is bi-directional and includes, amongst others, IBM’s commerce solutions Marketing Cloud, Engage Mobile, and Digital Analytics. Digital ad tech provider IPONWEB has partnered with DISH Media Sales for the development of a new programmatic impression-by-impression linear TV marketplace. The satellite TV provider thus takes the first step towards a programmatic offering. Beta-testing with three DSPs has just begun. On board are DataXu, Rocket Fuel, and TubeMogul. “DISH’s platform unites TV and digital buying, creating an easy avenue for brands to target their message comprehensively and efficiently across the entire consumer experience”, says Adam Gaynor, vice president of DISH Media Sales. Demand-side advertisers can control targeting, frequency, trafficking, and buying per-impression and receive aggregated set-top-box reporting. The ads are delivered to DVR set-top-boxes and play dynamically during commercial breaks as the consumer views live and DVR content. A partnership between mobile advertising optimiser mediasmart and moment marketing platform TVTY combines the bsmart DSP and TVTY’s ‘video fingerprint technology’, synchronising offline events with mobile advertising. Monitoring TV ads in 25 countries, TVTY detects designated ads and triggers mobile campaigns through mediasmart‘s bsmart platform, aiming for real-time boost of campaigns across multiple platforms.